Artists on Artists - group show featuring Guy Denning, Shepard Fairey, Byroglyphics, Dale Grimshaw, Ray Richardson, Case, Jef Aerosol, Fran Williams, Caroline Burraway, Robert Sample, Joram Roukes and James Mylne. What happens if you ask an artist 'which artists do you most admire and influence you'? The response you'll get can be quite revealing. Some will take us safely back to long dead masters; others may find some obscure contemporary name to send us straight to Google: yet more could emphatically state that they stay away from others art altogether, lest it infects their own; a few may name some close colleagues and friends who have inspired and encouraged them. Whatever the reaction, it invariably speaks volumes about the delicate nature of individual creativity. Signal Gallery have asked this very question of a group of very distinctive artists and the answer will come in the form of portraits of their artistic 'heroes'. The artists involved are Guy Denning (whose idea the show was), Shepard Fairey, Byrogplyphics, Ray Richardson, Dale Grimshaw, Case, Jef Aerosol, Caroline Burraway, Fran Williams, Robert Sample, James Mylne and Joram Roukes. 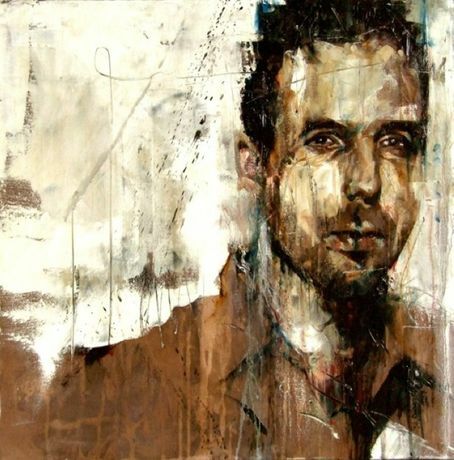 Each artist, in their different styles, has made a strong contribution to portraiture and figurative painting and the combination of their work, alongside the passive presence of their 'victims' will make a fascinating show. Some of the artists will be painting each other, but other names that have been mentioned are a very motley crew - Bruegel, Peter Howson, Jasper Johns, Antony Micallef and Samuel Beckett.